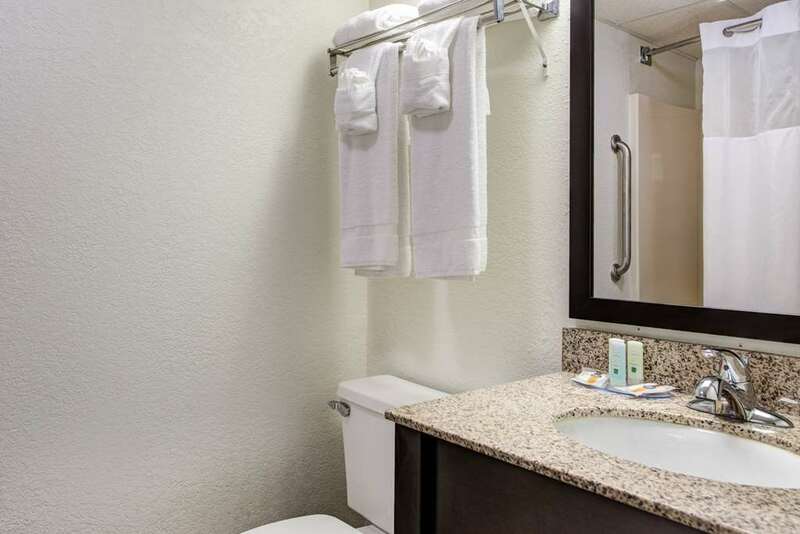 Get more for your hard-earned money at the Quality Inn Creekside-Downtown Gatlinburg hotel near the Gatlinburg Convention Center. Other attractions nearby include the Gatlinburg Community Center, Pigeon Forge Factory Outlet Mall, Rocky Top Sports Complex and the Smoky Mountains. Get more value with amenities like free hot breakfast, free WiFi and a seasonal outdoor pool. Guest rooms come with TVs, hair dryers, Q beds, coffee makers, desks, microwaves and refrigerators. Also, earn rewards including free nights and gift cards with our Choice Privileges Rewards program.